When choosing a server for web hosting or for any other service, then you will meet a fork in the road. That fork is Linux or Windows, and I am going to show you why it is Linux servers are superior to windows, and why it is you should be using them. You just need to ask yourself do I want to learn how to use Linux? If so then you are already taking a step in the right direction. When it comes to stability you will find that Linux servers are very stable and you will not have to worry about them wearing out. Not to mention that Linux does not require defragmenting so you won’t have to worry about slow downs, or the hard drive being worn down. Let me explain why Linux based machines don’t need to be defragmented. Very rarely do people complain about a Linux based server crashing and that is because Linux is just more intelligent than that of a Windows based server. Linux and Windows handle files in two different ways, and Windows handles them the “dumb” way while Linux does it in a more intelligent manor. When Windows downloads a file, it places it with some free space around it, but it is still very close to those other downloaded files. Now when you are downloading a very large file this free space will be filled, and then the machine says okay what now? What Windows does, is it will try to bunch those files with free space around it as well. Now larger games will become very fragmented, because it runs out of that free space. Well Linux when downloading files places them all over the hard drive so that they have a ton of free space to grow. This prevents the defragmentation because Linux knows that when downloading to give a huge space in between these files. Most people like to think that Mac’s are more secure than Windows machines, however from testing you will notice that there are a ton of vulnerabilities especially in their Safari Browser. Well Linux does not have these issues, the first reason is that Linux is not as common, so writing malware for it would be pointless. If no one is using that operating system why would you write a malicious program for it? That just makes no sense. The second reason is that you (The Administrator) always has complete control over the files on the computer. On Windows for instance we can have these hidden files which we can’t see unless we allow ourself to do so. So if your server ever did contain a hidden file you would be able to see it without trying to force your way using the Windows options or by another third party software. Linux is not only cheaper than Windows servers, the operating system is free. Linux is a free operating system, so you can go and download Ubuntu for server, and you won’t have to spend a dime. 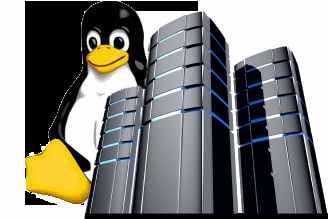 So whether you are purchasing hosting, or you have your own, then you will save money with Linux in the long run. To prove my point here is the download page for Ubuntu For Server. When you purchase a Windows server or operating system they want you to use their product. Think about it Windows 8 comes with their own Anti-Malware program. You can purchase their Office program. They want you to use their cloud storage, and much more Microsoft wants you to use Microsoft products. Well with Linux you won’t worry about that, and many distributions of Linux even recommend certain programs to download, because they don’t program them nor do they have the time to do so. When it comes to servers you will notice that there are a lot more plugins especially E-Commerce plugins than on Windows. This is because why should they have to buy a Windows Server to test their products? It is a waste of money, now larger companies will do so so that they can reach a larger market, but any average Joe who knows programming can pickup a Linux server package and program. When it comes to choosing a server I do recommend using Linux. Now if you don’t wish to learn how to use Linux, and want to jump in right away, then use Windows. Windows servers are far easier to use and to get into, because they look like any other Windows operating system. Previous articleApple Trademarking The "iWatch"